Nylon 210D Tote/Sports Bag with drawstring and reinforced corners. A simple printed bag available in a selection of colours. Great for outdoor use & ideal for any logo or brand. 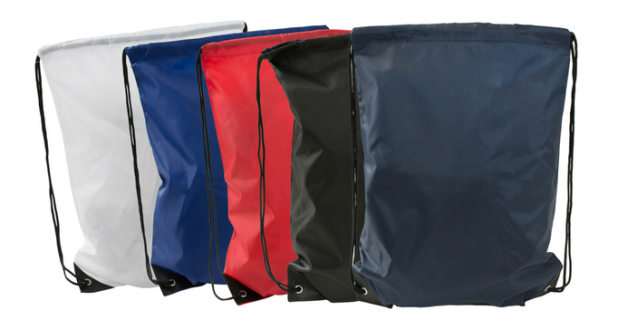 To find out more about our Nylon Drawstring bags contact our friendly sales team on: 01234 712121 or click here to fill in a contact form. On all orders there is a set up charge. This can be advised on sight of design.